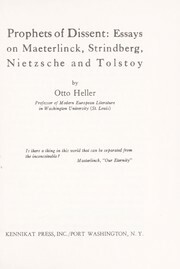 1 edition of Prophets of dissent: essays on Maeterlinck, Strindberg, Niet... found in the catalog. Add another edition? 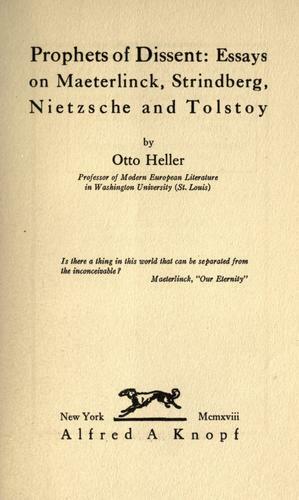 Are you sure you want to remove Prophets of dissent: essays on Maeterlinck, Strindberg, Nietzsche and Tolstoy from your list? 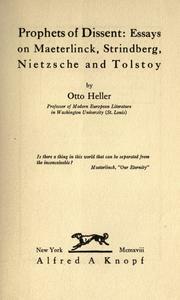 Published 1918 by A. A. Knopf in New York . x p., 2 l., 3-216 p.